Henry Saiz is the creator of a style that is a combination of his love for all things electronic with a deep passion for art. His music, as well as his work as a sound designer for film and TV has always been marked as forward thinking in approach and groundbreaking upon delivery. Henry's sound refuses to fall into a singular category, he takes in influence on many different levels and incorporates this into his live and DJ sets by forging a perfect balance of Electronica, Disco, House and Techno. Henry's first productions were released through the highly regarded Global Underground and Paradigm Musik imprints. These releases were instantly noticed by house giant John Digweed, which led to creating one of the biggest tracks of 2009, which was also named as Pete Tong’s Essential New Tune. Released on Bedrock, Henry's remix of Guy J’s “Lamur” was regarded by critics and DJ’s alike as “the track of the year”. Following the success of this remix, yet another giant label; Renaissance commissioned the release of “Artificial Paradises EP” and “Madre Noche EP” in 2009 and “The Rider EP” in 2010. Not a man to be content with such success, Henry whilst producing some of the biggest tracks around has also simultaneously been developing his live show. Using a combination of Native software and hardware, an Akai APC-40, Access Virus TI and other equipment, Henry has complete control over his meticulously created and fully original edits, loops and tracks. The integration of these techniques into his highly acclaimed podcast “The Labyrinth” and both live and DJ environments has allowed Henry to show his true potential in building sets that strike a chord with audiences across the world. His rising reputation earned Henry the honour of being asked to mix Balance Music’s 019 compilation. Following on from the likes of Timo Maas, Joris Voorn, Will Saul and Agoria, Henrys addition to this world-renowned mix series has more than lived up to expectations and has set a new benchmark in depth and quality. Whilst being a producer, DJ and live performer is paramount to Henry, another element close to his heart is finding and developing new talent. Henry started his own label, Natura Sonoris (Nature Of Sound) in 2008 and it has become a platform for not only his own productions but also for artists such as Damabiah, Cora Novoa, Sistema and Ryan Davis to name but a few. The focus of the label is to connect electronic music with art and life. This is reflected in all aspects of each release from the music itself down to the artwork, a formula that has been received extremely well and now has a big following worldwide. 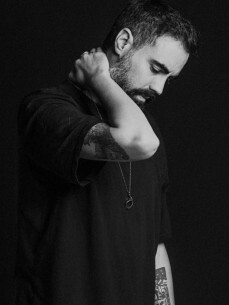 September 2012 sees the release of his new single - Henry Saiz ‘Our Discovery’, which has been garnering a huge following this summer on the white isle, with supporters including Lee Foss, Sasha, Audiofly, Blond:ISH and many others. Henry’s long awaited artist album is now underway, entitled ‘Reality is for those who are not strong enough to confront their dreams’. Due for release in February 2013 on his own label Natura Sonoris, this ground-breaking concept album engages his fans in an exciting and never-before-done way, by asking them to send him recordings and samples that he will incorporate into tracks from his album. Everyone can be involved in the creative process; fans can use the custom built interface on http://www.wearehenrysaiz.com to send him their thoughts, noises, field recordings or any other sound that means something to them. Be a part of his album today by visiting the site on your computer or smart phone.